I have spent a lot of time in Liberland over the summer and I have written quite a lot about it too. The summer is way over now and I feel it’s time for me to share the whole story and remember the good and fun times as the last few days have been particularly shocking, tragic and worrying. Once upon a time there was Gornja Siga, a piece of land with the shape of a heart, seven square kilometre of woods, stuck between Croatia and Serbia, along the Danube. 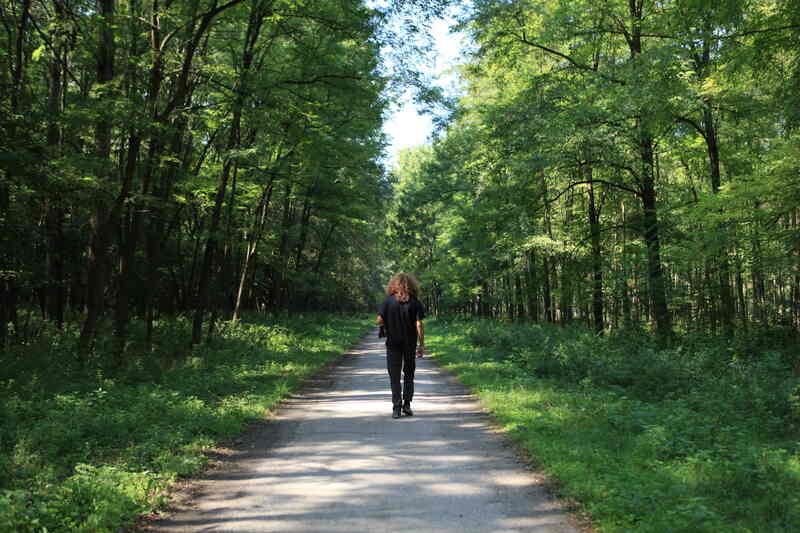 The uninhabited land was a “terra nullius”, an unclaimed piece of land since the dismantlement of Yugoslavia twenty years ago… till the “no man’s land” became the land of a man: On the 13th of April 2015 – to honour the birthday of Thomas Jefferson -, Vit Jedlicka, a 32 years old Czech, planted the flag of a new nation in Gonja Siga, a new nation called Liberland. Once upon a time there was a man, who was a libertarian. Born in 1983, he grew up in communist Czechoslovakia. When he was 14, he read French liberal political economist Frédéric Bastiat and never stopped being a libertarian since. He studied economics and politics in Prague. He started a career as a politician in the Czech Republic but it was not enough for him. The tall, stocky and chubby blond man with a friendly face and a contagious laugh wanted more: a state with a minimal government, embracing the philosophy of libertarianism: a country with the moto: “To live and let live”. So why not create a new nation to experiment his views and ideas? Yes, why not? Well Vit went further the drunken crazy conversation between mates in the pub and actually did it. A friend suggested the idea of a “terra nullius”. A simple look at Wikipedia unveiled the existence of the heart-shaped land along the Danube – 9 hours drive from Prague-, Vit had found his promised land. A flag was designed, a president was born. Vit became the first president of Liberland, being elected by 2 votes among 3: his girlfriend and his friend voted for him, he chose the abstention. Once upon another time there was a Danish libertarian clique, a bunch of determined and “action men” vikings. They heard about the creation of Liberland, immediately reacted and went on a mission: to settle in Liberland. The LSA (Liberland Settlement Association) was born. At its head, a charismatic Dane, Niklas Nikolajsen, bitcoin trader and lookalike of both D’Artagnan and Robin Hood. 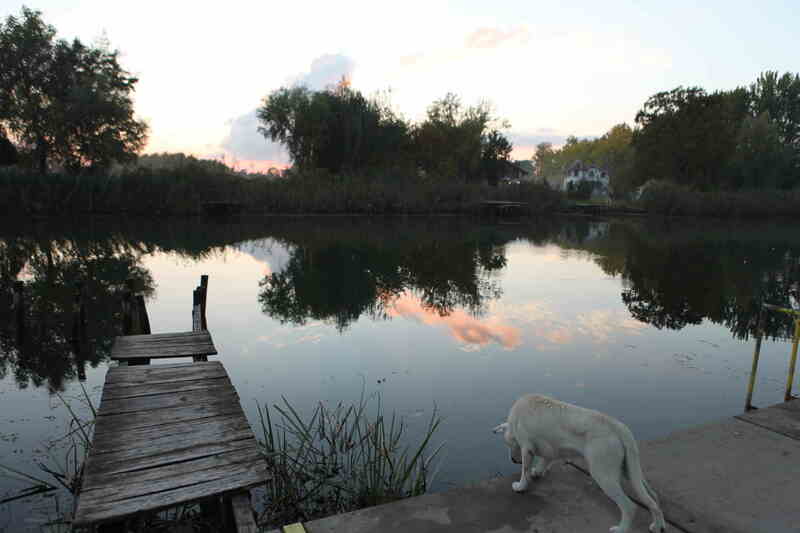 On the ground, they set up a camp, on the Serbian side of the river, near the charming – sort of out-of-a-Kusturica-film- restaurant, Carda Kod Carine, owned by another colourful character with a great name, Petar Maksimovic . The Danes were ready to take over the land, they were joined in their adventures by a mix of libertarians from all over the world. At the head of the ground operations was Kenneth Lillieholm, half-swedish, half-danish, a charming man with lovely blue eyes. He was leading his troops like the military officer he once was. It was the end of Spring, everyone was full of hope, Vit Jedlicka and the LSA were working hand in hand towards the same goal, the same quest of a promised land. But not everybody was so enthusiastic about the gestation of a new nation in such an explosive area. 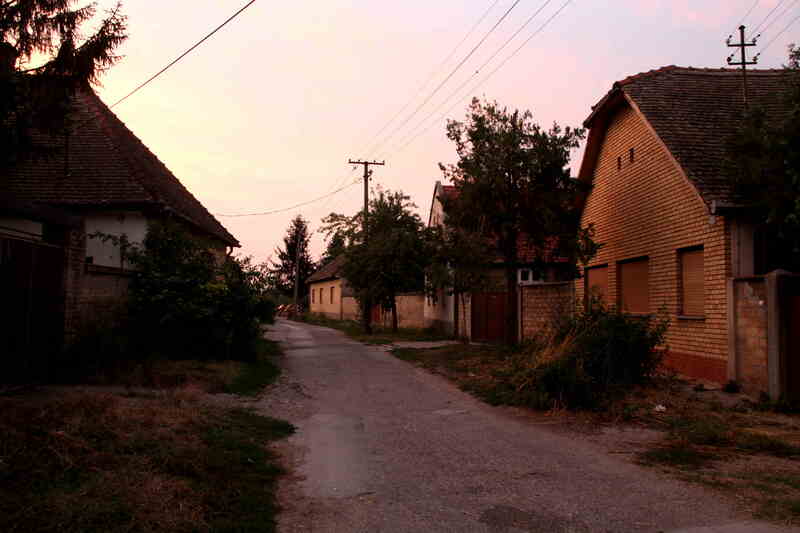 While the Serbs were looking at all that “cinema” going on in a mix of amusement and distance, the Croats had decided to arrest anyone – except Croatians – entering Liberland. Liberlanders-to-be were arrested on the grounds of “Illegal crossing of the border”, whatever country they were coming from, walking from Croatia or by boat from Serbia. Meanwhile in London, my friend Agnes was avidly reading the papers searching for a good story. A few lines about Liberland caught her eye. She called me. Would I like to come along and find out what it was all about? Of course, the crazier, the more improbable, the better. And the icing on the cake was a cheap Summer Ryanair flight to Osijek in Croatia about one hour drive from Liberland. We landed on a grey afternoon and embarked on a Voivodina road trip trying to find the promised land. Backi Monostor was where we started. 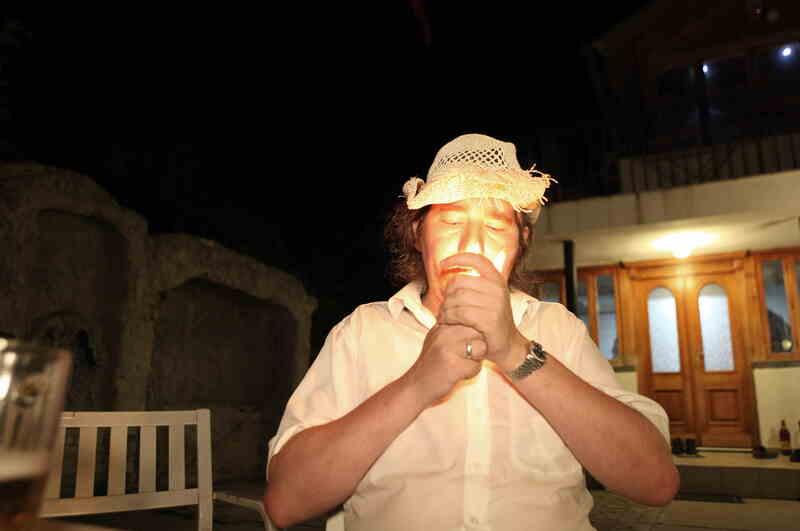 Drinking at one of the numerous bars of the village, we were asking around about Liberland. The word must have spread very quickly as when we were only starting our second “Jelen” (local beer), a tall American guy came to us. Straightforward with intense blue eyes, he asked us what we wanted to know. Well, everything you can tell us. Clearly the guy had an issue, he was nervous, paranoid, using an incredibly huge amount of swear words. It took him a while to tell us about the LSA. As a matter of fact, he confessed he had been sacked from it. 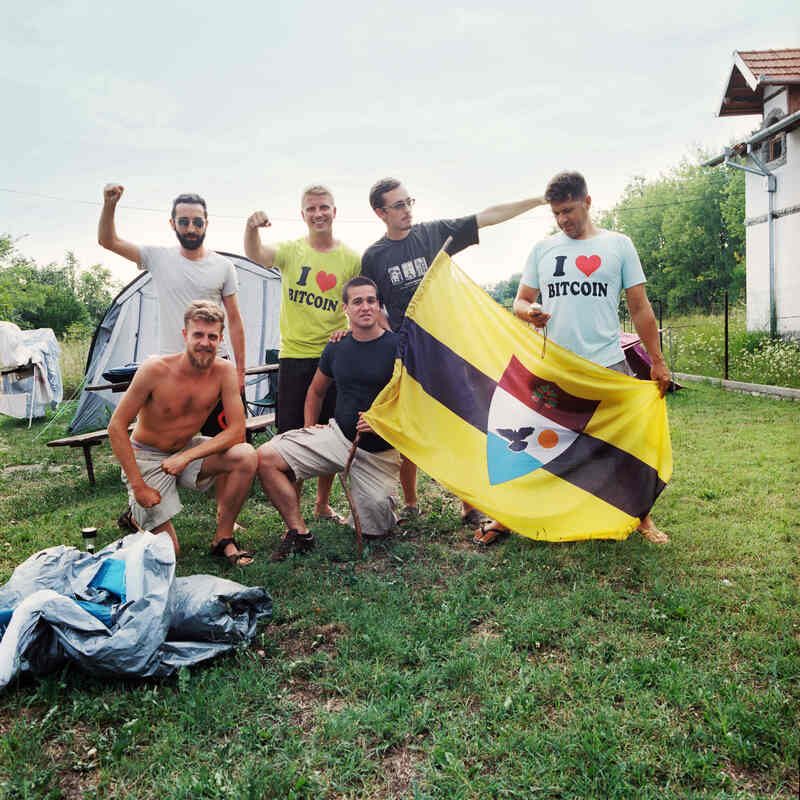 He was in his own scenario, retaining information, covering tracks, making Liberland his own world, which you didn’t want to be part of… He ended up giving enough information for us to find the LSA guys in the nearby village of Bezdan. The next day we were knocking on their door. They had given up the idea of the camp at the Carda Kod Carine. Not only had they to fight against the Croatians, but they also had to survive mosquitoes’ attacks and a few rip offs by local people… So they upgraded and started to rent a luxurious villa by the canal in Bezdan, a kitsch house – probably built with the local mafia money which became the LSA summer head quarters. Madness would have loved it and released a new “House of Fun” song, as yes, it was a house of fun, excitement, new concept and ideas, hope and love for freedom – although I always had the weird feeling there was a corpse in the cellar – it’s probably my imagination combined with the mafia story and the weird energies coming out of the place sometimes-. The LSA HQ was not a place of “villegiature”. It was a base, the base of a movement pioneers from the whole world joined to conquest a territory and transformed it into a libertarian heaven. There were wonderful encounters: Vit, Niklas, Kenneth and all the people who made the journey to Bezdan to help build a nation. Some spent a few days, others the whole summer. 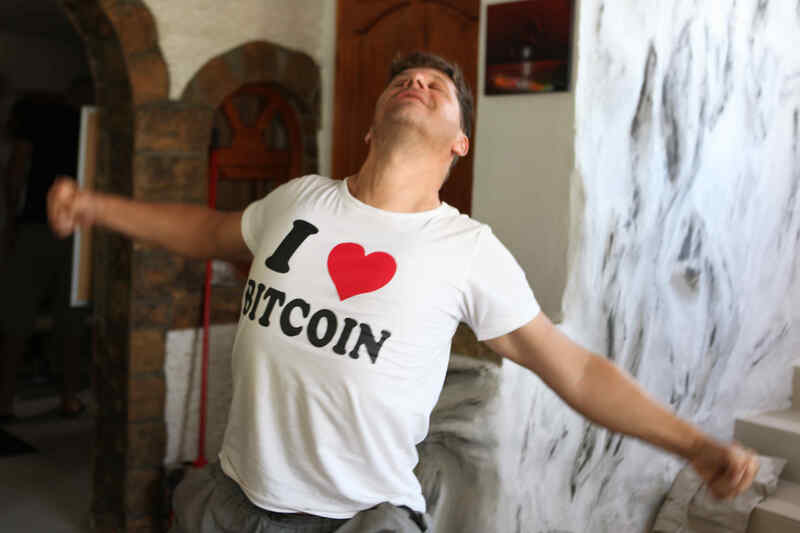 The house was a constant flow of people coming in and out, discussing freedom, liberty, politics, bitcoins and new cryptocurrencies. Our middle-aged womens’ brains were permanently challenged. 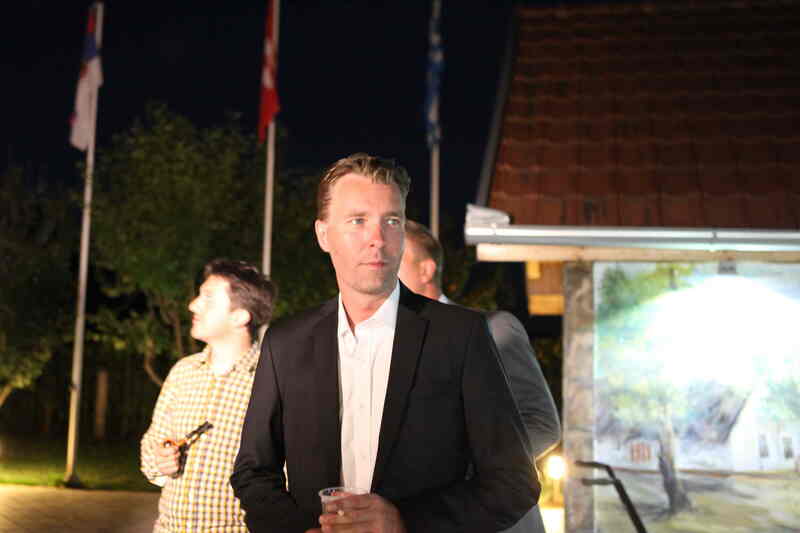 All the strategies to take over Liberland were elaborated between those walls. It was intense, rich and sometimes too much. Going for a swim in the canal with local kids was not enough to step back from the intensity of the house… Or maybe was it being a middle-aged woman? First, they were mainly men in the house, the amount of testosterone was sometimes reaching the limits of the unbearable to me-and God knows I love the presence of men-. There was also the intensity of the people there. Imagine a bunch of guys, a mix of geeks, anarchists, ultra-liberals, perpetual traveler and tax avoiders, all on a mission… There would have been arguments. There were arguments. So I stayed in a pension in Bezdan. Although I was spending most of the evenings and nights at the HQ, I needed to step back, talk to people around, make friends with local residents. But it was outside the walls, on the Danube, that the adrenaline reached its high. Well, it did for me that August Sunday afternoon I embarked on a boat trip which could have lead me into a Croatian jail. What was I thinking? I became part of a mission… Setting foot on Liberland. Or more precisely filming two guys do it: One of them was Alex, a 20 years-old Brit, the other one was OB, a 60 something years old American missionary man based in China. 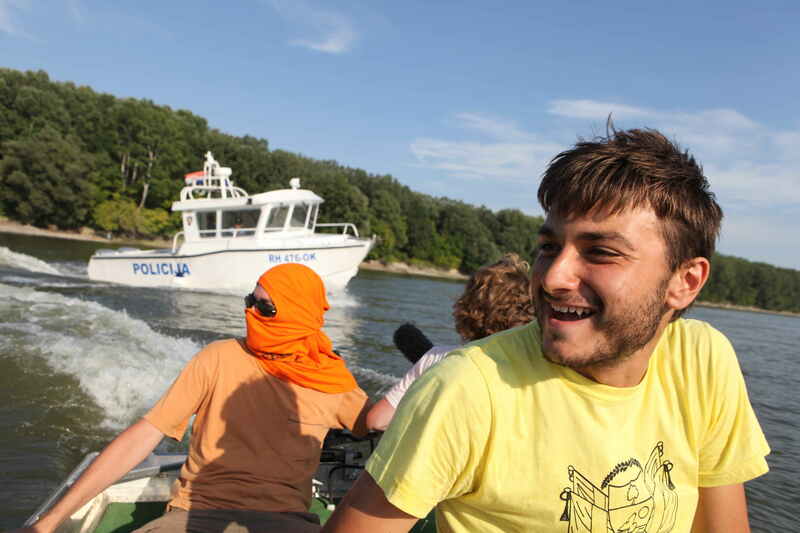 For a while the diversion was a success, the pirate of the Danube managed to get all the Policija’s attention till they realised the “supercherie” and changed their course, full speed, toward us. Our ninja pilot managed to get the boat as close as possible to Liberty Island’s beautiful sandy beach, Alex jumped out of the boat screaming like a Mohican, ran and quickly reached the fine sands of Liberty Island. 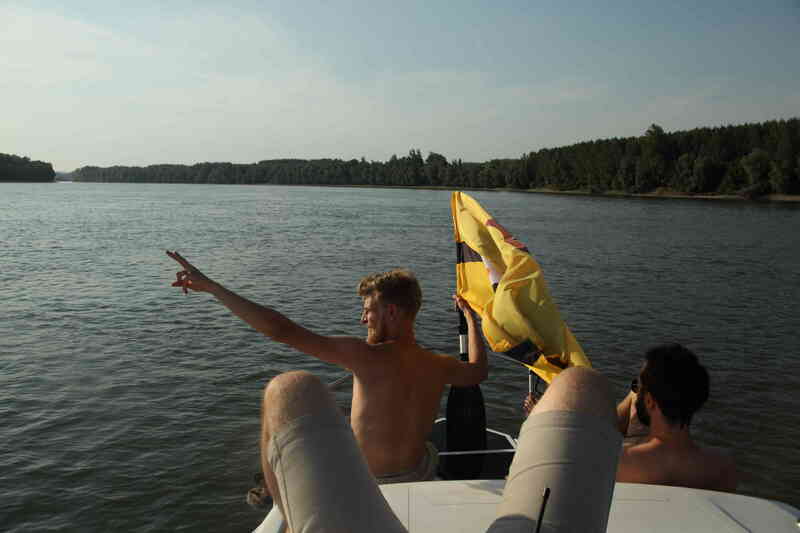 OB got less lucky and fell from the boat after a “fausse manoeuvre”, slowing down the operation and reducing the precious time the two guys wanted to spend in Liberland. The Policjia was fast and furiously approaching. Alex and OB had to run back from their temerous two minutes of fame. They jumped back in the boat – OB had another fall- but we were too close to the shore, the engine propeller was stuck in a sand bank. The Policija boat was getting closer and closer. 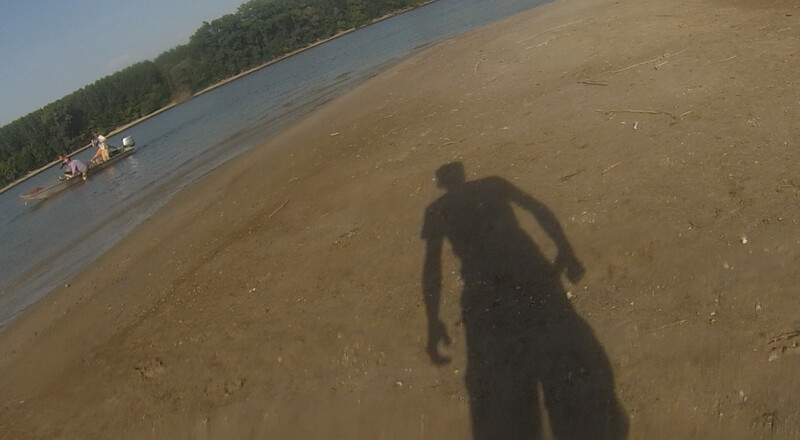 Alex jumped out of the boat again to push us out of the sands of Liberland. He managed, we sailed off. But we were still in Croatian waters. An unforgettable, rocambolesque and James Bondesque chase began. The Croatian boat (a few times bigger than ours) drew circles around us, creating huge waves and trying to deter us from sailing back to Serbia’s waters. After three attempts, a collision and a last minute avoided turn over, super Ninja brought us back safe and sound on the Serbian side. That was extraordinary, Agnes was on the other boat, filming from her spot, in the middle of a testosterone fuelled atmosphere. I had the feeling I was part of an action film: the speedboat filled in with Hollywood movie stars, the Croatian police border boat speeding around, the Danube, Liberty Island and the beautiful light of the end of a sunny “Balkanic” day. But what was the point? Spending money and time, risking arrests, accidents, when the outcome was known in advance? Well, defying the Croatian authorities was a way of raising awareness on what was going on in Liberland, telling and reminding the world that people had been arrested and had spent weeks in jail for penetrating the promised land. And then I became part of the LSA communication war machine. I had the footages from the boat. I stopped being a journalist, I just shared everything with the LSA, and so did Agnès. It was the beginning of a crazy night, typical of the ones at the HQ by the canal: a mix of party and work till the end of the night. 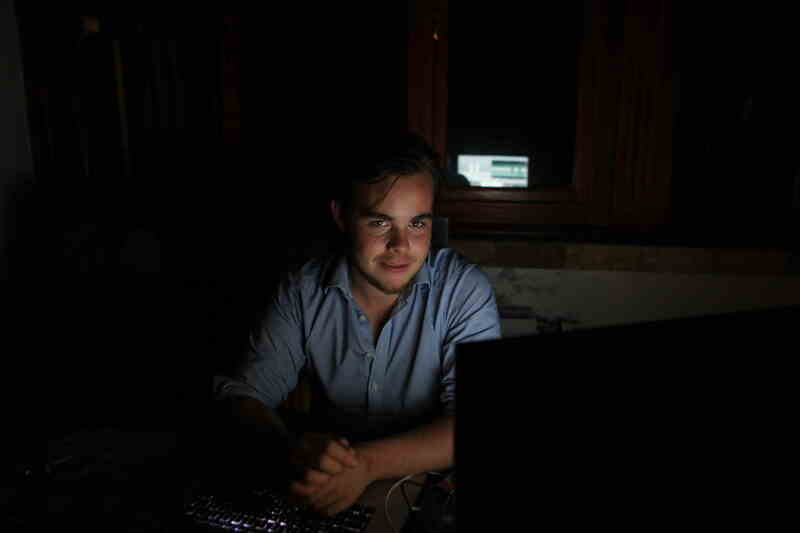 I worked with Niklas and Nicolai – a 22 years old Danish genius-, helping with photos and videos, the adventures of the day were posted within the two following hours. 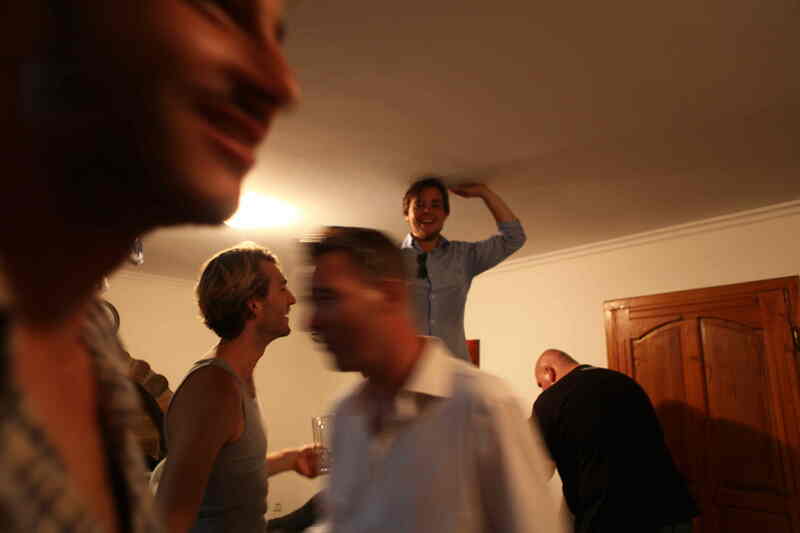 A few drinks later, as the party was gently slowing down, in the early mornings, a taxi came to pick up Niklas. He had a flight to catch and it was the funniest moment of the night: he asked me to help him put on his bitcoin cufflinks. Of course boss! Liberland started to have an effect on me. I wanted to come back. And so did Agnès. There was an addictive side to it. It was being part of a unique social experiment. We came back a few times over the summer, documenting more and getting more involved. We even cooked for Liberland! Trying to earn some merit coins, which would allow us to have some sort of shares in Liberland… We were addicted. That was the peak of the summer when the conquest of Liberland still seemed possible. At the end of September the last LSA supporters left the house. The mood had changed, from enchanted to gloomy, from exciting to sad. The mission was over, settling in Liberland had failed. 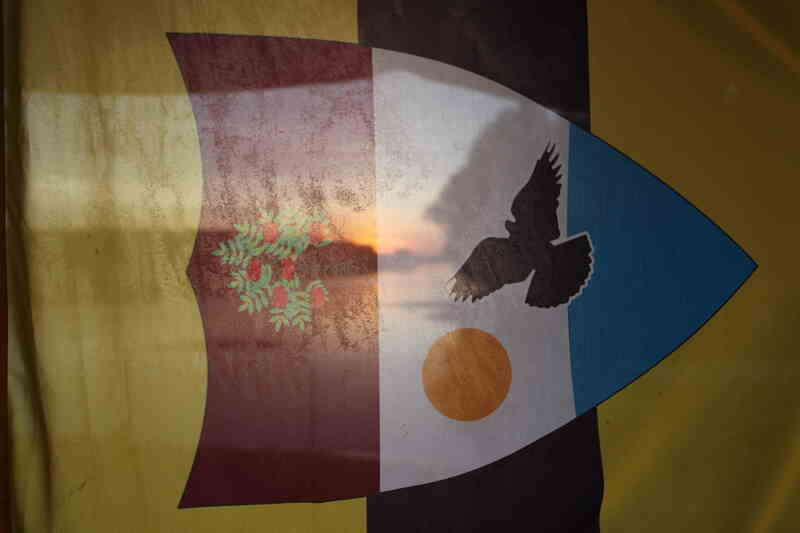 If you look at the definition of a micronation, Liberland is one. Whether it will become a recognised state or not is another story. 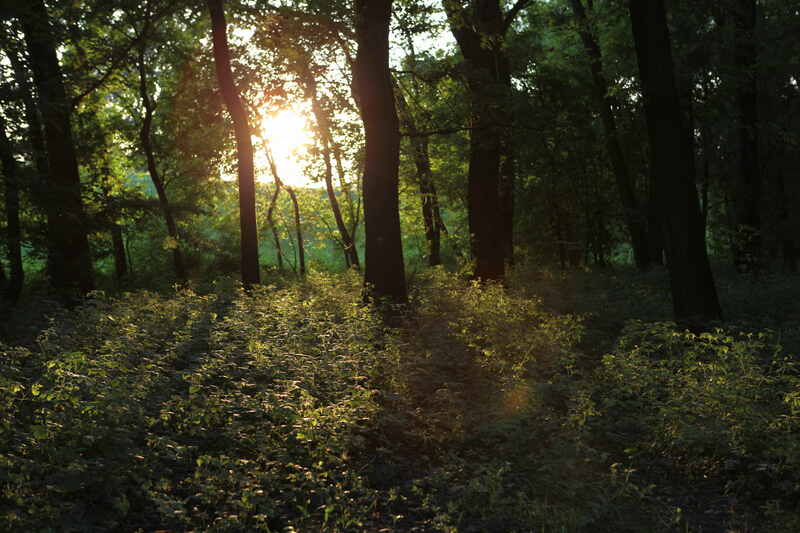 But to me, the spirit of Liberland was born in the summer. A spirit which is very much alive and living through a strong collective memory and the determination of Vit, still travelling the world promoting his dreamland. A spirit and a summer which opened doors to me, made me more adventurous, stronger and definitely crazier… in a good way, of course. And I am sure I am not the only one to feel this way, more free.